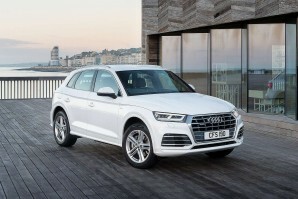 Audi's understated Q5 continues its subtle conquest of the premium compact SUV sector. This second generation model gets a range of more efficient engines and even more car-like driving dynamics that are great on tarmac and are even pretty effective for light off road use. There's loads of advanced technology and a beautifully practical interior crafted in Audi's own inimitable style. In short, if you can afford it, you'd like one.